Marks & Spencer is situated in a prime location in The Marlowes Shopping Centre at 237 Marlowes, about a 1.06 mile driving distance west from the centre of Hemel Hempstead (a few minutes walk from Hemel Hempstead Hospital and Riverside Shopping Centre). This store serves the customers of Hemel Hempstead Town Centre, Chaulden, Gadebridge, Highfield, Bennets End, Adeyfield, Corner Hall, Leverstock Green, Warners End and Boxmoor. Business times for today (Thursday) are from 8:00 am - 7:00 pm. 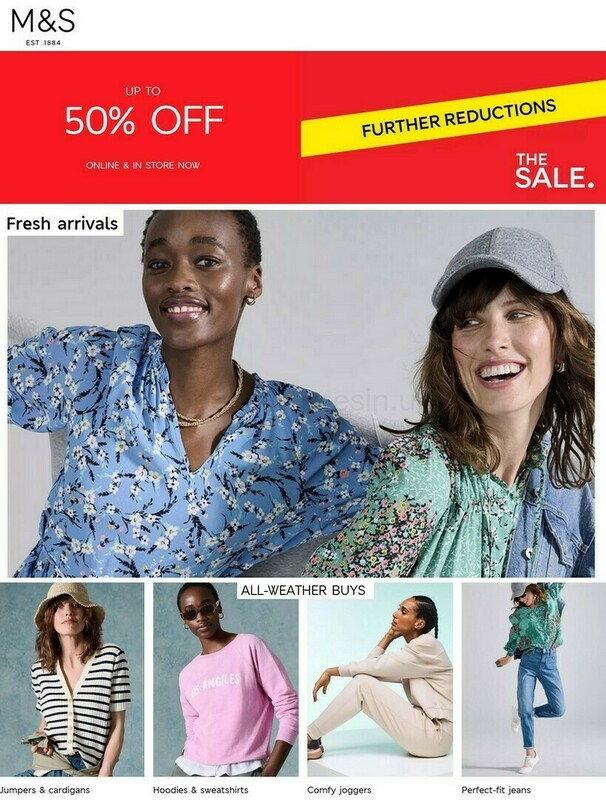 This page will supply you with all the information you need about Marks & Spencer Hemel Hempstead, Marlowes Centre, including the working hours, local directions, email address and further essential details. Marks & Spencer is directly located close to the roundabout of Waterhouse Street, Moor End Road and Marlowes, in Hemel Hempstead, Buckinghamshire, at The Marlowes Shopping Centre. Located within a 3 minute drive time from Leighton Buzard Road, Two Waters Way, St. Albans Road or Station Road; a 5 minute drive from A41, Warners End Road, Queensway and London Road; or a 6 minute drive time from Breakspear Way or Junction 8 (Breakspears) of M1. For route finder systems use the following navigation coordinates: HP1 1BL. Reachable from the bus stops at Riverside, Marlowes and Waterhouse Street. Lines available: 1, 2, 3, 4, 30, 31, 46, 51, 101, 207, 300, 318, 352, 353, 500, 501, 502, 532, 730, H10, H11, H19, ML1, PB1, PB2, X31 and Sapphire 320. The train will run directly to Hemel Hempstead Station (5110 ft away). Options include the Southern and London Midland lines. If traveling by foot you may visit Jarman Leisure Park, Boxmoor Primary School, Blackbirds Moor Park, Apsley Mills Retail Park, Hemel Hempstead Hospital, The Hemel Hempstead School, Gadebridge Park, Daventry Retail Park and Riverside Shopping Centre. At present, Marks & Spencer runs 1 store in Hemel Hempstead, Buckinghamshire. Click here for a full index of all Marks & Spencer locations near Hemel Hempstead. During the UK holiday season, usual opening times for Marks & Spencer in Hemel Hempstead, Marlowes Centre may be modified. For the duration of 2019 these exceptions involve Xmas Day, Boxing Day, Easter Sunday or August Bank Holiday. To get additional details about seasonal operating hours for Marks & Spencer Hemel Hempstead, Marlowes Centre, go to the official site or phone the direct service line at 0333 014 8555. While shopping at Marks & Spencer, please peruse the other stores in The Marlowes Shopping Centre. At this spot you can also find TESCO, Argos, The Entertainer, WHSmith, KFC, SUBWAY, Specsavers, B&M and other options. Help Opening Times in the UK keep the information as accurate as possible. If you found any discrepancies or mistakes in the street address or store hours for Marks & Spencer in Hemel Hempstead, Marlowes Centre, please let us know by making use of the report a problem form. You may critique Marks & Spencer using the box provided below. Please also critique the location using the star rating system.